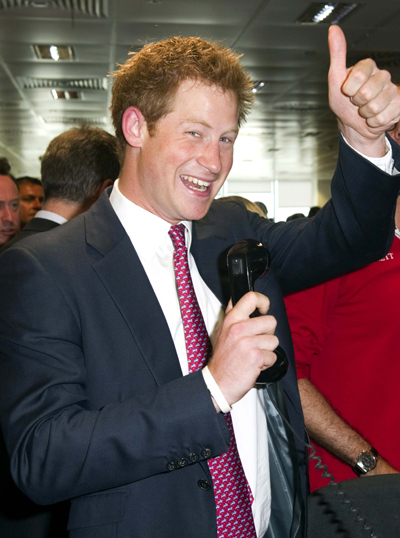 Maybe it’s because he’s not destined for such a serious role as the future King of England like Prince William is, but Prince Harry has always been our favorite British royal, mostly due to his fun-loving antics. Can you imagine Prince William or Kate Middleton, Duchess of Cambridge exiting a nightclub in the trunk of a car? We didn’t think so. The 27-year-old prince’s latest stunt was on display in Rio de Janeiro, Brazil this week, as he completed a mile-long fun run, wearing a mask of Prince William over his face.